Scores of Palestinians were killed and thousands wounded as Israeli soldiers continue to open fire at Palestinians protesters at the Gaza border. The Palestine Chronicle is following the developing story. At least four Palestinians were killed by an Israeli aircraft, according to the Palestinian Ministry of Health in the besieged Gaza Strip. Mohammed Riyad Abufarhana, (31),Shaban Rajab Abukhater, Mahmoud Ibrahim Qishta, and Mohammed Sharif Badwan (27) succumbed to their wounds as a result of a series of tank shelling along the eastern areas of the Gaza Strip. Two Palestinian children were killed and dozens injured so far, after Israeli warplanes bombed a building in Gaza City, according to the Palestinian Ministry of Health in the besieged Gaza Strip. Amir al-Nimra (15) and Luay Kaheel (16) succumbed to their wounds as a result of an Israeli bombing targeting a park in Central Gaza Strip. Israel’s army said it had launched airstrikes on the besieged Gaza Strip early on Saturday. Footage shows Israeli warplanes bombing northern Gaza this morning. Israel is desperate to launch a full-scale military assault on the Palestinian enclave, intentionally trying to provoke violence from Hamas. According to Gaza’s Health Ministry, Israeli forces have killed at least four Palestinians and injured more than 600 hundred at the Gaza Border. ٤ شهداء (بينهم طفل) وأكثر من ٦٠٠ إصابة في قطاع غزة. Israeli forces have killed at least three Palestinians and injured more than 500 during protests near the fence with Israel. The following video was contributed to the Palestine Chronicle by Palestinian photojournalist Abdallah Aljamal. Palestinian medics evacuate a Palestinian who was shot by an Israeli sniper to the east of Al-Burij refugee camp during the Great March of Return on June 8, 2018. Video by Abdallah Aljamal. Ziad Jadallah Bureim was also shot dead while he was participating in the protests in southern Gaza Strip, while Imad Nabil Abu Darabi, 26, was killed east of Jabalia town in northern Gaza Strip, Wafa added. 525 casualties reported, including 26 children, two paramedics, and five journalists. 192 people transferred to hospital, including 92 injured by live ammunition. 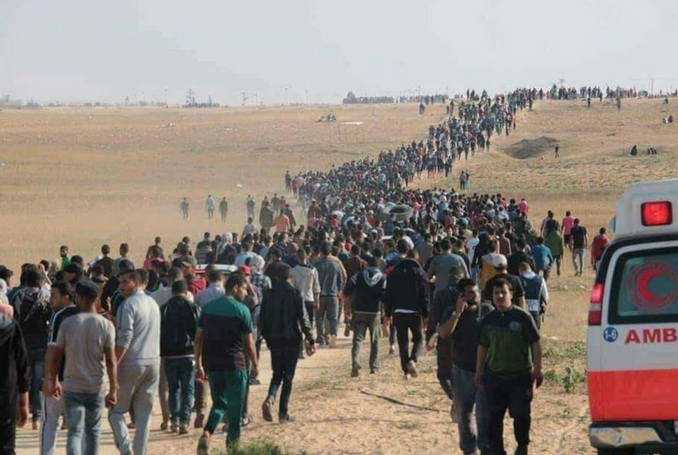 Gaza’s Health Ministry says that two Palestinians have been killed and more than 500 protesters have been wounded by Israeli forces at the Gaza Border. Palestinian photojournalist Mohammed Albaba (AFP) was shot in his leg by an Israeli sniper at the Gaza border. Israeli snipers are shooting at unarmed protesters at the Gaza border. Video shows the moment of targeting Palestinian unarmed protester by israeli terrorist sniper around 100 meters away from the fence. A Palestinian man was hit right in the face by an Israeli teargas grenade. Razan Al-Najjar’s mother will participate in the protests wearing Razan’s bloodstained medical vest. The Israeli army has warned people in Gaza not to come close to the border with Israel during Friday’s protests when a big turnout is expected. According to WAFA, Israeli drones dropped firebombs at protest tents along the Gaza Border on Friday morning. Palestinians called for a march to Jerusalem today. The Israeli army had today deployed large numbers of troops along its border fence with Gaza in anticipation of protests to mark Naksa Day, the anniversary of Israel’s occupation of the West Bank, Gaza, Golan Heights and its annexation of Jerusalem. As yet, protests have not erupted. Israeli forces killed a Palestinian on Monday, as he allegedly attempted to cross through the border fence along the eastern Gaza Strip. The identity of the slain Palestinian remained unknown. Mohammed Naaim Hamada, 30, died on Sunday morning east of the Gaza Strip as a result of wounds inflicted by Israeli security forces on May 14, according to Palestinian health officials.
? ?#Palestine || He celebrated the birthday of his daughter in the hospital in the last few days .. The martyrdom of Palestinian young man Mohammad Hamada from injuries sustained during the March of Return at the eastern borders of #Gaza . . هكذا احتفل الشهيد محمد حمادة مع ابنته بعيد ميلادها، في المستشفى قبل أيام حيث ارتقى فجر اليوم متأثراً بإصابته برصاص قوات الاحتلال خلال مسيرات العودة. Since the beginning of the Great March of Return, more than 120 Palestinians were killed by Israeli forces. Razan al-Najjar was killed by Israeli live fire during the protests east of the southern Gaza city of Khan Younis, according to Palestinian health officials. 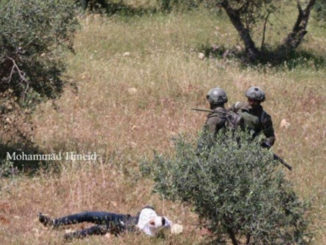 Wearing a white uniform, “she raised her hands high in a clear way, but Israeli soldiers fired and she was hit in the chest”, a witness told Reuters news agency. UN Security Council debates Israel’s Gaza killings. The chief prosecutor of the International Criminal Court said she was watching closely the unrest in Gaza, and would “take any action warranted” to prosecute crimes. Laila Anwar al-Ghandour, an eight-month-old baby, died of tear gas inhalation at dawn on Tuesday, according to Gaza’s ministry of health. Speaking to reporters at a White House briefing, White House spokesman Raj Shah accuses Hamas’ leaders of making a “gruesome and unfortunate propaganda attempt” after the killing of 55 Palestinian protesters by Israeli forces. The UN High Commissioner for Human Rights Zeid Ra’ad Al Hussein said via Twitter that Israeli live fire in Gaza on Monday must stop immediately. Israeli Prime Minister Benjamin Netanyahu responded on Twitter to criticism over the Israeli army’s conduct in Gaza, saying it acted in self-defence by firing at protestors. Kuwait requests an emergency meeting of the UN Security Council on Tuesday, the country’s mission to the UN said Monday, condemning Israeli army’s conduct in Gaza. The South African government condemns the actions of the Israeli armed forces along the Gaza border, after at least 52 Palestinians were killed in demonstrations. The French presidency condemned “the violence” in Gaza on Monday after 52 Palestinians were killed in clashes with Israeli forces during protests over the US embassy opening in Jerusalem. A group of journalists, including the Al Jazeera’s TV crew, were targeted by an Israeli drone dropping tear gas in Gaza. Palestinian President Mahmoud Abbas describes events in Gaza as “one of the most ferocious days” during a press conference on Monday. 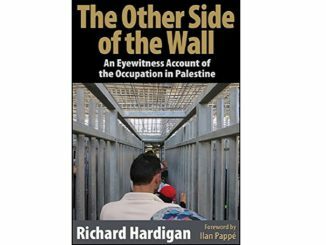 He also describes the move the US embassy to Jerusalem as an assault on the sovereignty of the Palestinian people. Riyad Mansour, the Palestinian Authority’s UN ambassador, has condemned Israeli strikes on unarmed Palestinians in Gaza. Palestinian UN Ambassador Riyad Mansour seeking emergency Security Council meeting, possibly in next 24 hours, on Gaza death toll and opening of US embassy in Jerusalem. The Palestinian Ministry of Health has put out a call on Twitter for people in Gaza to head to donation centers to donate their blood. Protests also kicked off in the occupied West Bank and at least 40 Palestinians have been injured during confrontations with Israeli forces in the city of Bethlehem. Gaza hospitals are on the verge of collapse, as the number of wounded civilians continues to grow. One hospital in Gaza is dealing with 400 casualties. Israeli aircraft are also reported to have been bombing several targets in the Strip, particularly in the west of Gaza City. The ministry of health has released a statement saying that 43 people have been killed and 1960 others have been wounded so far. Some 918 people were shot at with live ammunition, while many others were injured from tear gas inhalation and rubber-coated steel bullets. At least 39 are in critical condition, meaning that the death toll is expected to rise. Of the 41 killed on Monday, the ministry of health said at least six were below the age of 18, including one female. And, of the 1,960 wounded, at least 200 were below the age of 18, 78 were women and 11 were journalists. Hundreds of young protesters are trapped and the paramedics can’t reach them. #BREAKING: The situation is very dangerous now. Al Jazeera journalist Wael Dahdouh injured with live ammunition by Israeli snipers. At least 41 Gazans have been killed and 2,000 have been injured by Israeli snipers on the border – surpassing the combined death toll of the past six weeks’ worth of protests. Palestinian leaders and Arab-Israeli MKs have accused Israel of committing a “massacre” in Gaza. Hamas spokesman Fawzi Barhoum said Israel was threatening Palestinian protesters with “killing and terrorism” and condemned the show of violence against unarmed protesters. At least 30 people have now been killed by Israeli forces in Gaza, with over 1,600 injured. 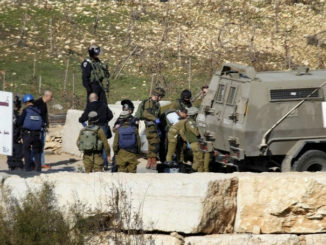 At least two children are believed to be among the total death toll for today, as well as double leg amputee Fadi Abu Saleh, 29, who was reported to have been shot by Israeli forces in the east of the Strip, despite being bound to a wheelchair. At least 25 Palestinians have been killed in Gaza and more than 900 others wounded as the Israeli army fired live ammunition and teargas and firebombs at protesters assembled along several points near the fence with Israel. An explosion in the east of Rafah is also believed to have killed three people, according to Quds News. Tens of thousands of Palestinians have arrived to participate in the rally. Monday’s protest comes ahead of the annual commemorations of the Nakba, or “catastrophe”, when the state of Israel was established on May 15, 1948, which led to the expulsion of hundreds of thousands of Palestinians from their villages. The protests were also planned to coincide with the moving of the US Embassy from Tel Aviv to Jerusalem, in line with the US’ recognition of Jerusalem as the capital of Israel in December, furthering stoking tensions and angering Palestinians. Protests also kicked off in the occupied West Bank cities of Ramallah and Hebron, as a response to the US embassy move. In Ramallah, Palestinians are expected to protest from the city center to the Qalandia military checkpoint, the main northern crossing separating Ramallah from Jerusalem. The demonstrations in the Gaza Strip are part of a weeks-long protest calling for the right of return for Palestinian refugees to the areas they were forcibly expelled from in 1948. Organizers of the Great March of Return say they are expecting as many as one million people to join the demonstration and attempt to cross the fence with Israel from various points across the border.